Gender dimension of youth unemployment - Your future is my future - a European Youth Guarantee now! PES Women wants to underline that women count when it comes to employment! Women have been harshly hit by the crisis, especially due to the austerity measures introduced in addressing the crisis. It is essential to guarantee an equal access to the labour market for women and men and this from a young age, in order to prevent creating bigger gaps at a later stage. So, specific causes of youth unemployment among women have to be tackled. PES Women is therefore committed to tackle gender segregation in education, to develop jobs and skills for women, especially in the green economy and to push for a sound maternity leave at European level, in order to improve reconciliation between professional and private life. 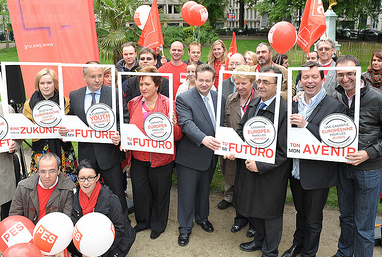 The Party of European Socialists (PES) today launched its flagship campaign “Your future is my future - A European Youth Guarantee now!”, which aims to tackle the crisis of youth unemployment in Europe. 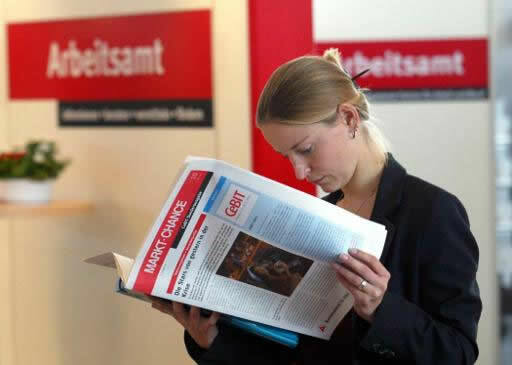 Currently, 5.6 million young Europeans are jobless, more than the entire population of Denmark. This inactivity costs Europe 100 billion euro every year. A European Youth guarantee, as being proposed by the PES could be supported by 10 billion euros from EU structural funds. This funding could help bring 2 million young people out of unemployment by 2014. On 23rd March PES Women held its yearly statutory meeting in Copenhagen. In presence of Danish Minister for Gender Equality Manu Sareen and Spokesperson on Gender Equality Rasmus Langhoff MP, PES Women welcomed the Danish EU Presidency priorities to tackle gender inequality. The Party of European Socialists (PES) today joined with Belgian member parties PS Belge and Sp.A to highlight the huge unemployment crisis faced by millions of young women in Europe. The action, which took place in Brussels, on international women’s day, was part of “Women on the Bridge”, a wider event organised by European and Belgian Women’s organisations. The event took place at Brussels canal. While calling for a European Youth Guarantee, PES Women underlines that Women Count too! 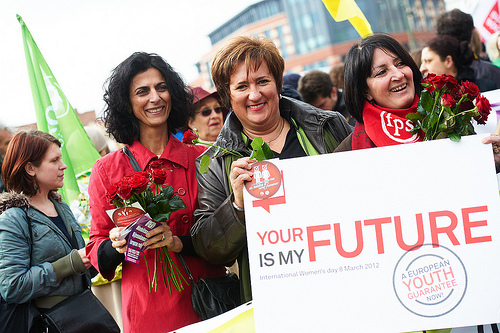 On the occasion of International Women’s Day, Zita Gurmai MEP, President of PES Women, has emphasized the need for a European Youth Guarantee. The rapidly growing number of unemployed young women is set to have a deep and sustained impact on society. Ms. Gurmai delivered her message at the European Young Socialists Winter University. Ahead of the International Women’s Day, PES Women is raising awareness to the causes underlying the unequal access to the labour market and calling for the implementation of concrete measures to tackle it. On 5th March PES Women President Zita Gurmai addressed a crowd of young people at the Winter University of ECOSY to present the PES campaign ‘Your future is my future: Women count too’. The campaign calls for the implementation of a European Youth Guarantee that can provide a solution to unemployed young people; Mrs. Gurmai underlined the gender perspective of youth unemployment and its long term effects. Until when will women in the EU have to work 6 days-a-week to earn the same as men? The 2nd March marks the European Equal Pay Day. This day recalls that the gender pay gap in the EU is alive and well. Statistically, to earn the same as a man did in 2011, each woman must keep on working until 2nd March the next year. PES has long campaigned to end the gender pay gap. PES Women have succeeded in keeping this key issue high on the agenda by helping establishing a European-wide Equal Pay Day. Today, on 2 March 2012 we “celebrate” the European Equal Pay Day (EEPD). This day is an opportunity to recall that gender pay gap is still 17% in the European Union today. Even if the principle of equal pay for equal work was enshrined in the Treaty of Rome in 1957, the reality is altogether different. My message today for European Equal Pay Day is to raise awareness and to mark the countdown to International Women’s Day on 8 March (see below for list of events). On 27 February the European Parliament’s Committee on Women’s Rights and Gender Equality (FEMM Committee) organised a public hearing on the role of women in the green economy.